The mammoth success of Baahubali 1 and 2 has encouraged the filmmakers to make historical epic films on a grand production scale. One of those historical films is Mahavir Karna, which was announced last year, with Chiyaan Vikram in the lead role. The film was officially launched yesterday (December 3) with a special pooja at the Sree Padmanabha temple in Trivandrum. Actors such as Suresh Gopi, Unnikrishnan attended the ceremony. The makers received a holy temple bell, that will be a part of the 30 ft high chariot of Karna, which will be featured in the movie. This historical action film is directed by R.S.Vimal, who earlier made the critically acclaimed, Ennu Ninte Moideen (Malayalam) in 2015. Mahavir Karna is in the final rounds of pre-production and is expected to go on floors very soon. The film is touted be made on a massive budget of Rs 300 crores, which will be a multilingual, made in Tamil, Malayalam, and Hindi languages. It is also said that the makers will be hiring technicians from the International circuits for the VFX and special effects in the film. For now, Vikram is busy shooting for Kadaram Kondaan, directed by Rajesh M Selva and produced by Kamal Haasan, while he is also awaiting the release of Dhruva Natchathiram. This entry was posted on December 4, 2018 at 6:29 AM and is filed under the bad. You can follow any responses to this entry through the RSS 2.0 feed. You can leave a response, or trackback from your own site. Mahavir Karna based on the epic Mahabharata is Vimal’s second directorial outing after biographical romantic drama Ennu Ninte Moideen in 2015. Director RS Vimal held a special puja at Padmanabha Swamy temple in Thiruvananthapuram on Monday, kicking off the production of his most ambitious film – Mahavir Karna. The ceremony was attended by several Mollywood celebrities including Suresh Gopi, Indrans and B Unnikrishnan. The main focus of the puja was a temple bell, which will be a part of the film. The venerated bell will be taken to Hyderabad by Vimal for the shooting. It will be used to decorate the 30-feet chariot, which is being built at the Ramoji Film City. 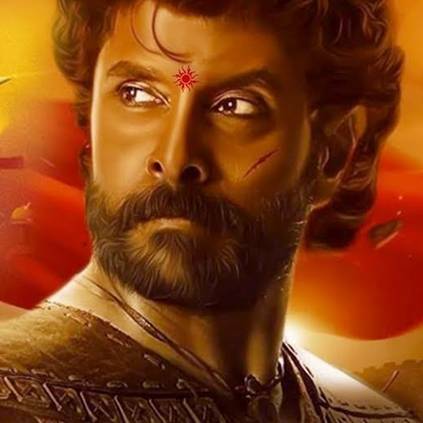 The estimated budget of the mythological drama is Rs 300 crore, which will make it more expensive than Baahubali: The Conclusion (cost Rs 250 crore). “The producers have already hired technicians of Game Of Thrones fame to work on the project,” a source close to the filmmakers confirmed to Indianexpress.com. Mahavir Karna is expected to have spectacular visual effects, which will be created both in domestic and international studios. Vikram, who is playing the titular role, will join the sets in January next year. “The filmmakers have plans to release the film in the first half of 2020,” the source said. The filmmakers have been tight-lipped on the star cast. “Producers have roped in leading actors from the Indian film industry and Hollywood. All the details will be revealed in January,” added the source. The United Film Kingdom is bankrolling the film, which will be originally shot in Hindi. The film based on the epic Mahabharata is Vimal’s second directorial outing after biographical romantic drama Ennu Ninte Moideen in 2015. In the meantime, Vikram is busy shooting for Kadaram Kondan, which is being bankrolled by veteran actor Kamal Haasan’s production banner Raaj Kamal Films International. The film is directed by Rajesh M. Selva of Thoongaa Vanam fame and is fast nearing completion. there’s always a big fuss about hiring technicians from different Hollywood films. This time it’s Game of Thrones. The problem remains the same. The technicians can only do so much without Hollywood-like budgets. True, its more like a marketing tool. Meanwhile, Aamir has reportedly approached Prabhas to play Karna in his MB web-series. In its theatrical run, Karnan completed 100 days in four theatres, including Madurai Thangam (noted as the second largest theatre in Asia during 1964), and also completed 105 days at Ganesan’s family-owned Shanthi theatre. In spite of a successful run after completing 80 days, the film was removed from twelve theatres to allow the release of Pachai Vilakku, another Sivaji Ganesan film. At Madurai Thangam, Karnan earned totally ₹186,805.62 after its 14-week run there. Despite the film running for over 100 days in theatres, critics like Baradwaj Rangan and M. Suganth state that the film was a box office failure during its release. Daana Veera Soora Karna is a 1977 Telugu Hindu mythological film produced and directed by N. T. Rama Rao under his Ramakrishna Cine Studios banner. It is regarded as one of the greatest films of Telugu Film Indusrty. It stars N. T. Rama Rao playing three roles: Karna, Duryodhana and Krishna and also starred his sons Nandamuri Harikrishna and Nandamuri Balakrishna, who played the roles of Arjuna and Abhimanyu respectively. Music was composed by Pendyala Nageswara Rao. The film was recorded as a Blockbuster at the box office. The film had a 100-day run in 9 centres. The film had a 250-day run in Hyderabad. The film collected huge amounts in its time and even in repeat runs. DVS Karna was the second Telugu film after Lava Kusa to collect ₹1 Crores and first Telugu film to collect ₹2 Crores(with an average ticket price being ₹1)in 1977. In the first twenty years after its release, DVS Karna sold the highest number of tickets beating all the new releases for the year in 13 different years. Lava Kusa is the only other movie with re-run value of three releases. Given the arrival of DVDs etc., it is unlikely that any Telugu movie ever made will sell as many tickets as DVS Karna sold over 16 crore tickets during a 15-year period. In the same day dvs karna and krishna’s kurukshetram released. Though kurukshetram made with high budget and values, it was disaster but dvskarna made lot of records. This could be next all India massive. This is the second wave now. First wave came on television when Ramayana and Mahabharat gripped television which ran for years. I now wonder what would be the TRP rating. Then we only knew that the roads, airports and highways used to get a deserted look during the show time. Second wave came with Baahubali 1 and the biggest cinematic wonder Baahubali 2. It now continues. Given TOH, theres no way YRF will spend more than 150 crores on Shamshera. Also, the South is still outperforming bollywood even for the next 2 years. Awseome list and i agree. Wow…i think Akshay, SRK and Ranbir is lucky to find their movie in this list because even Bharath, Hrithik/Tiger, Baaghi 3, Housefull 4 would find it difficult to compete with this Southern storm. And add the Hollywood blockbusters – Lion King and Avengers and you will not find any hindi movie in top 10 for 2019. Is bollywood in danger of getting completely eclipsed now? And not to forget the GoT finale on HBO. Gosh…i have to revisit GOT from march. Cannot wait for 2019 now. Too many big budget historical epics following in the wake of Baahubali…I feel the audience will get fatigued (especially in the North) and they will lose money.